Henry Cecil Greene was born 03 Sep 1892 at Montagu, Tasmania, Australia. Registration Year 1892, Registration Number 1577, RGD Number 33. Henry Cecil Greene born 3rd September 1892, Montagu, Tasmania, Australia. Record - RGD33/1/74, Registration Number 1577, Registration Year 1892. 12th Infantry Battalion, 21st Reinforcements. Private H.C Greene NO. 6564 served in Australian Imperial Force until he was killed in action on 18 January 1918. Military service record states his burial place is " Buried about 150 yds SE of Derry House on North side of Bob Street CL in Corner of field 3/4 miles north of Messines. Dated 4/3/1918". Although the above entry in his military service documents indicate where he is buried, his remains were never identified and he is listed on the Ypres (Menin Gate) Memorial. His details can be found on Panel 7-17-23-25-27-29-31. See the attached Map of Ypres (Menin Gate)memorial for its location. Both Medals were award on his behalf to his father. Henry Cecil Greene's name is located at panel 66 in the commemorative area at the Australian War Memorial as indicated on the attached diagram. Henry's name is located on panel 66 in the commemorative area at the Australian War Memorial as indicated by the poppy on the plan. Henry's remains were never identified and he is honored with his details inscribed on the Ypres (Menin Gate) Memorial which is dedicated to all the missing in Belgium Flanders. Ypres, (now Ieper)is a town in the Province of West Flanders. The Memorial is situated at the eastern side of the town on the road to Menin (Menen) and Courtrai (Kortrijk). Each night at 8 pm the traffic is stopped at the Menin Gate while members of the local Fire Brigade sound the Last Post in the roadway under the Memorials arches. The Menin gate is one of four memorials to the missing in Belgium Flanders, which covers the area known as the Ypres Salient. In Broad Terms the Salient stretches from Langemarck in the north to the northern edge in Ploegsteert Wood in the south, but it varied in area and shape throughout the war. [S6] Tasmanian Pioneers, Archives Office of Tasmania, (The Royal Melbourne Institute of Technology in Association with the Archives Office of Tasmania) (Reliability: 2), 03 Sep 1892. [S23] Australian Military Service Records - Army, Department of Defence - Australia (Reliability: 3), 18 Sep 1928. 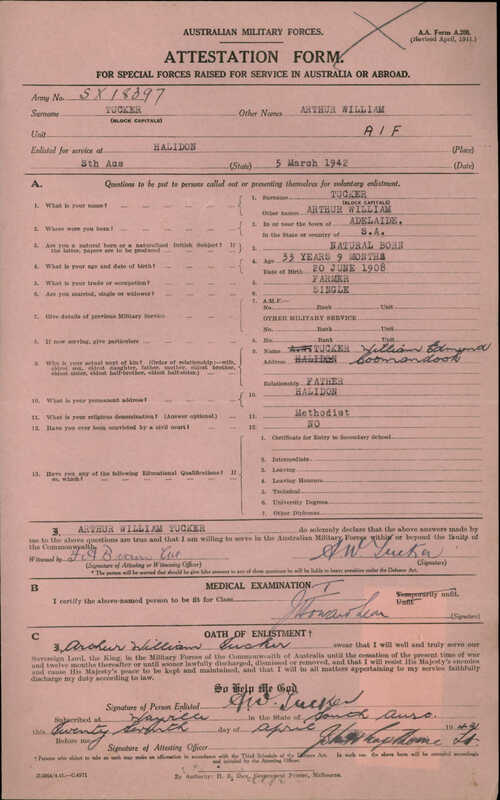 [S23] Australian Military Service Records - Army, Department of Defence - Australia (Reliability: 3), 04 Mar 1918. Buried about 150 yds S.E of Derry House on North side of Bob Street. CT in corner of field. 3/4 miles north of Messines. [S23] Australian Military Service Records - Army, Department of Defence - Australia (Reliability: 3), 08 Jan 1918. [S23] Australian Military Service Records - Army, Department of Defence - Australia (Reliability: 3), 1922. Henry was awarded the British War Medal NO.50580 on 22/4/21 and the Victory Medal No.49939 on 9/4/1923. Both Medals were presented to his father. Henry's father was also presented with the Memorial Scroll NO 340670 on 5/12/21 and Memorial Plaque No. 3401670 on 20/10/1922. [S35] Australian War Museum (Reliability: 3), 1920. [S48] Commonwealth War Graves Commission (Reliability: 3), 08 Jan 1918. Name Greene, Henry Cecil, Nationality Australian, Rank Private, Regiment/Service Australian Infantry, A.I.F., Unit 12th Bn, Age 26, Date of Death 08/01/1918, Service No: 6564, Additional information: son of Alfred Stanleigh Greene and Constance Elizabeth Green of Marrawah Tasmania, Native of Montagu, Tasmania, Casualty Type Commonwealth War Dead, Grave/memorial Reference Panel 7 - 17-23-25-27-29-31, Memorial: Ypres (Menin Gate) Memorial.